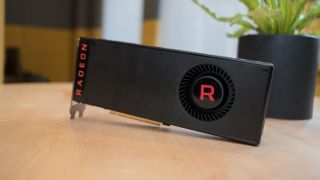 AMD has confirmed that its new Radeon RX Vega graphics cards won’t support any more than two cards in a multi-GPU (previously known as CrossFire) configuration, ruling out the possibility of three- or four-way setups when it comes to gaming. You will, however, still be able to link up the power of three or four cards when it comes to general computing usage. Of course, these sort of three or four GPU setups are very much a niche area for those who want to branch out into experimental monster rigs (with a monster cost), so the impact of this move will be minimal anyway. Plus there’s also the consideration that such multi-GPU configurations often suffer from diminishing gains, with performance varying widely according to the game in question (with sometimes very disappointing results given all the raw pixel-pushing power involved with a trio or more of graphics cards). This move brings AMD in line with Nvidia, which also only officially supports two-way SLI with its most recent Pascal-based (10-series) graphics cards – although three- or four-way configurations can still be used with certain benchmarks. Note that there is a caveat with both Nvidia and AMD cards, whereby more than a pair of GPUs can be used with DX12 games if the developer codes specifically for this. But that isn’t likely to happen with many titles, to say the least, given the points that we’ve already mentioned – namely that these sort of monster setups really are a highly niche pursuit. To sum up, three- or four-way multi-GPU PCs are now pretty much dead in both camps, save for show offs who want to blaze to the top of benchmarking charts, or hopeful types who believe that developers may just support their graphics card-stuffed rigs in whatever upcoming title they have on the boil.